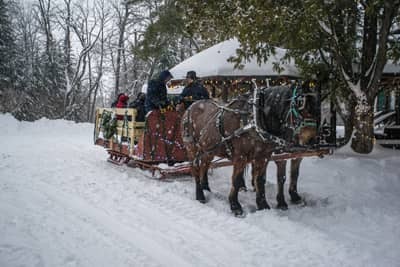 The only lantern-lit sleigh rides in the Adirondacks! Meander over nature trails and to the shores of serene Lake Clear, lit by real kerosene lanterns. 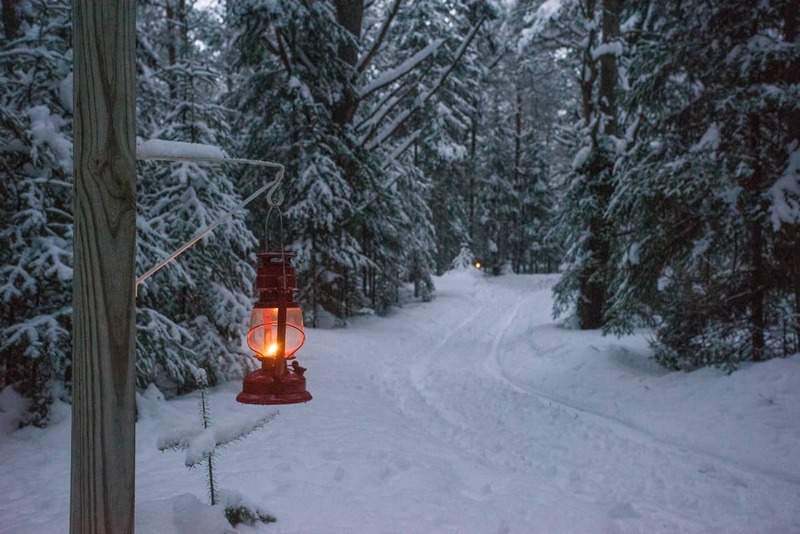 Ride with a local farm on a beautiful wooden sleigh as it journeys through the Lodge's lantern-lit wooded trails while the stars show the way to the lake. 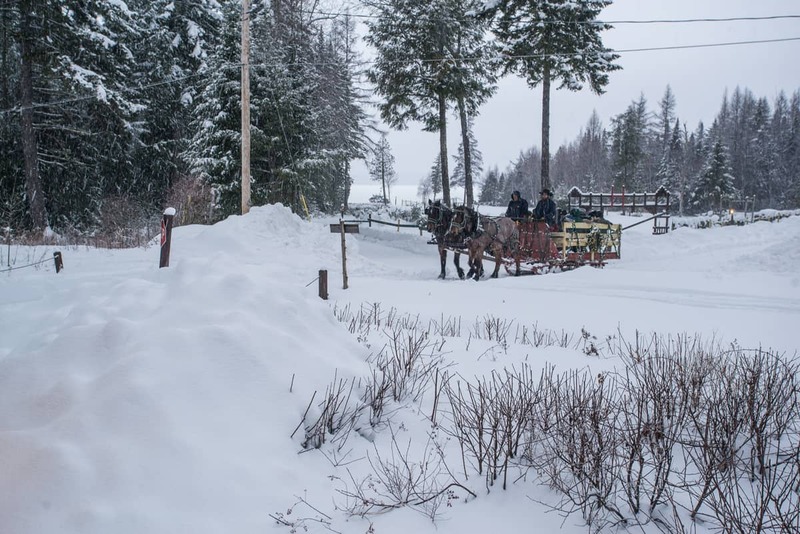 Step back in time to when the Lake Clear Lodge & Retreat operated in the Prohibition days, where they transported both people and the "spirits" of the woods via sleigh! 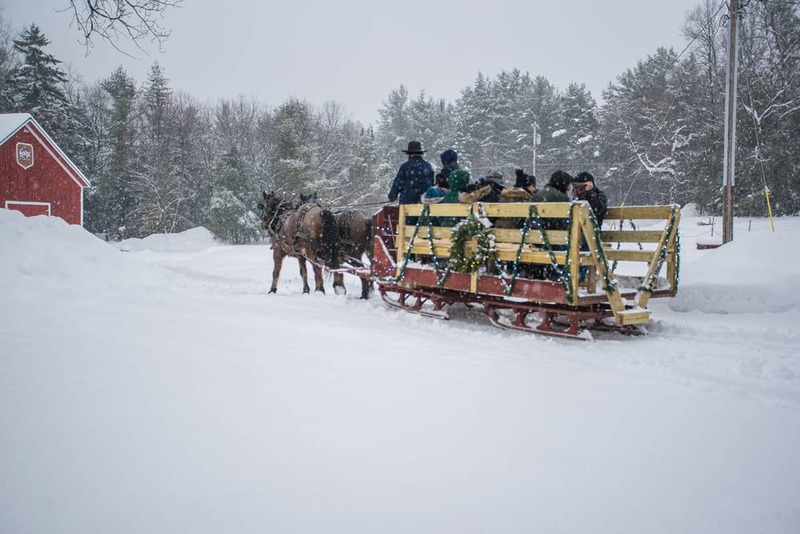 The Lake Clear Lodge & Retreat's partners with a local farm to offers sleigh rides 25-minutes from Lake Placid and 15-minutes from Saranac Lake. 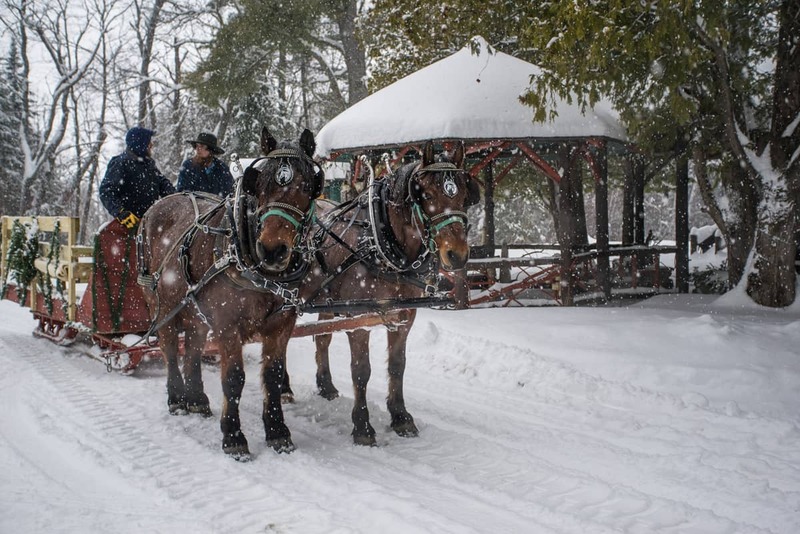 Enjoy an Adirondack sleigh ride from a local farm through our Adirondack woods! Group experiences are approximately 30 minutes long and are shared with other guests. 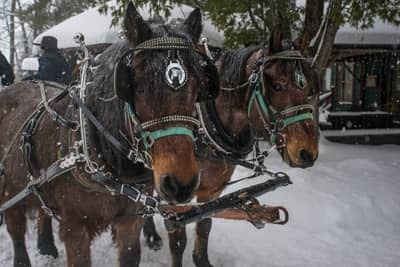 Experience a horse-drawn Sleigh Ride from a local farm, then explore one of the last original Adirondack Lodges with a 3-course Speakeasy Dinner. You'll need a password to get in, and we might even be raided by a 1920s Copper! Looking for your own romantic sleigh ride? Book a private ride for two and enjoy the jingling bells and serene Adirondack woods. Great for proposals, birthdays, and other special occasions! Our sleigh rides are closed for the season; we will see you Winter 2019! Sleigh ride dates, times and prices are subject to change. 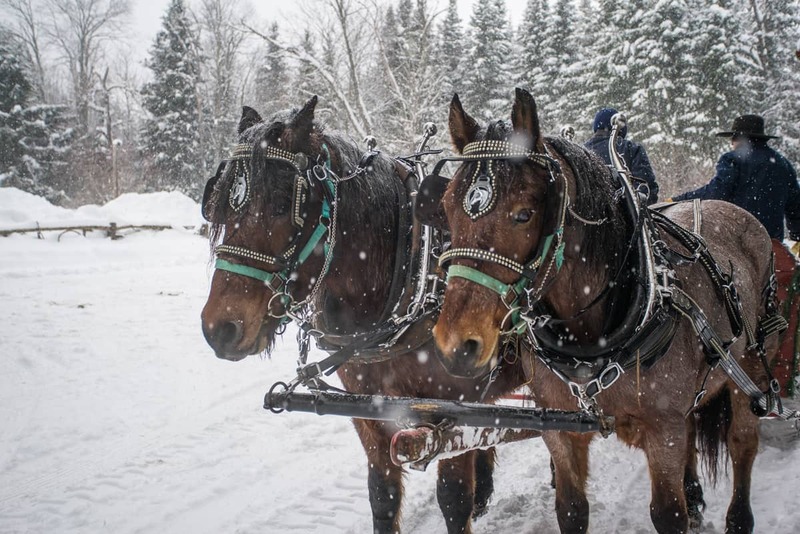 Sleigh rides are provided by a local farm and are not affiliated with the Lake Clear Lodge & Retreat. Check back for added dates and always confirm your ride if traveling a distance as weather patterns vary. 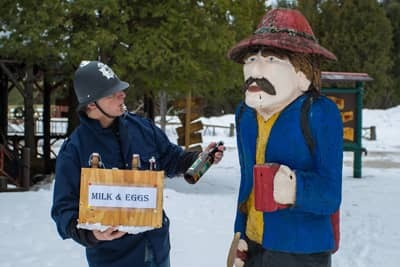 The farm will always attempt to notify guests if the ride is cancelled for any reason but it is your responsibility to confirm prior to arrival. A credit card deposit is required as each sleigh is reserved for a limited number of people. If you have a dinner reservation: The Lake Clear Lodge & Retreat's Adirondack Alps is a limited seating, no turnover restaurant. Chef Cathy is cooking for you, and the Lodge Staff is preparing your table for you and your party. If the sleigh Ride farm need to cancel for reasons other than extreme weather, we will still be expecting you for dinner. PLEASE NOTE: Incidentals and extras such as, but not limited to, drinks, appetizers, desserts, and workshops, are not included.